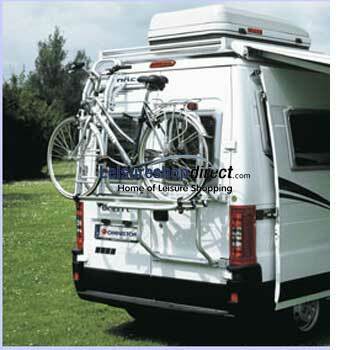 Mounted on the right rear door using mounting profiles.The door can be opened without removing the bikes. The rails are on the far left. Availabe for 2 bikes and cannot be increased.